Behind three second-half goals, two which came from defenders, Reading United remains undefeated in league play as they defeated FA Euro 3-0 at Gurski Stadium on Saturday. 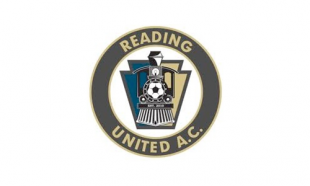 Coming off a heart-breaking 2-1 US Open Cup Third Round loss after a 119′ goal against Rochester Rhinos, Reading United looked to remain atop the USL-PDL Mid-Atlantic Division standings when they returned to league play on Saturday night. Despite the scoreline, visiting fifth-place FA Euro did not make it easy for Reading to extend their undefeated league start. From the start, Reading took immediate control, earning a corner kick quickly after the opening whistle. But James Webber headed the inswinging service directly at FA Euro goalkeeper Stanley Purygin. In the tenth minute, Darius Madison fed Oumar Ballo perfectly but his shot went wide. Five minutes later, Nick Delgado found a prime one-on-one opportunity but his heavy first touch prevented any decent attempt on net. Purygin made a double save, including a second save off his face. as Reading pressured for the early lead. Reading continued to dominate possession and pace despite sloppy midfield play from both teams. On a free kick in the 22nd minute, FA Euro took a Reading player to the ground and referee Eric Weisbrod pointed to the penalty spot. Aghast at the decision, FA Euro head coach Joe Balsamo took his disbelief out on a nearby Gatorade container. The fourth official was quick to call over Weisbrod, who ejected the angered coach from the game. As per league rules, an ejected player or coach must leave the playing facility. As Balsamo took a slow stroll around the track, Madison set up to take the penalty kick in the 23rd minute. Madison aimed left and Purygin, who dove the same way, made a kick save. Three minutes later, Reading’s Shane Campbell was given a yellow card for a tackle from behind. The game would continue until Balsamo stood at the field’s fence refusing to leave the facility. The match finally resumed after a three-minute delay. As the first half winded down, chances were few and far between. In the 42nd minute, Madison had another chance on goal and, again, was denied by Purygin. FA Euro earned a first half stoppage time corner kick but it was easily saved by Reading’s Crhis Froschauer. At the half, Reading and FA Euro headed to the locker room scoreless, despite the home team dominating the scoring chances with 8 shots to the visitors two. Looking to be the spark to Reading’s offense, head coach David Castellanos brought in Nicholas Surkamp for Nico Delgado at the start of the second half. Four minutes into the second half his shot found the crossbar. On the other end, FA Euro’s Tyler Fischer 51st minute shot was saved by Froschauer, who quickly played the ball to his teammate as the hosts looked to catch FA Euro off guard on the counter attack. In the 53rd minute, Reading was awarded a free kick, which was played short to Wes Carpie, who then crossed into a packed penalty area. Purygin attempt to cut out the cross came short and the ball fell to the feet of Robbie Sagel, who sent it into the back of the net. The hosts continued to increase the pressure on FA Euro, but Purygin continued to step up and prevent a series of Reading goal attempts. In the 78th minute, Reading finally found their second goal when Nicholas Surkamp — Reading’s long throw-in specialist — channeled his inner Sheanon Williams and fired the throw-in towards the box. Reading defender James Webber rose highest to head the ball past Purygin. Up 2-0, Reading was not satisfied and kept pushing for another goal, with Madison shanking his shot from ten yards out before having a second shot saved moments later. The Union Academy alum would finish the day with seven shots. As the game entered stoppage time, Reading found the scoreboard again. In the 90th minute, Madison ripped a shot that was tipped up by Purygin. Surkamp found the spinning rebound to score the third and final goal of the day. With their second-straight 3-0 shutout at home in the books, will enjoy a nice layoff before they travel to face Long Island Rough Riders on June 11. After hosting Philadelphia Union in the team’s annual friendly on June 18, Reading host arch rivals Ocean City Nor’Easters on June 20.